Police on Sunday released surveillance video showing a brazen firebomb attack that left a man with burns from the waist down as he sat outside a busy market in Long Beach. Police released the video to see if they can find the person responsible for the Friday night attack. It occurred when a man in his late 20s threw a Molotov cocktail at the victim while he was outside El Paisano Ranch Market in the 200 block of West Pacific Coast Highway, said Long Beach police Sgt. Aaron Eaton. 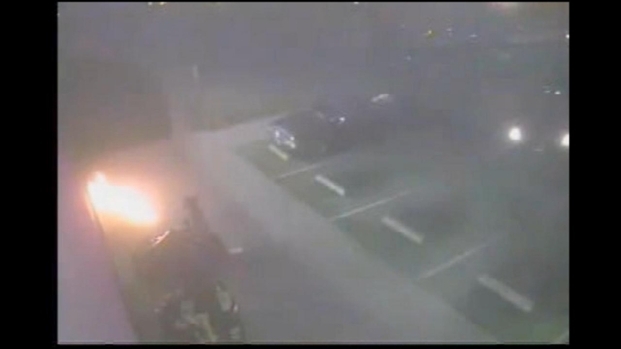 The video shows a ball of fire as a man is seen running from the scene. In this YouTube video released by the Long Beach Police Department, a man is seen throwing a Molotov cocktail at a man outside a Long Beach market. At the moment the bottle hits the ground, the fire explodes, barely missing a mother with a baby in a stroller. The victim appears to be running through the parking lot where others can be seen trying to put out the flames. The firebombing victim was taken to the hospital where he was in serious condition, medically sedated, with serious burns to the lower part of his body, his hands and his face, police said. The man, who is in his 50s, was not being identified due to concerns about his safety. Police said it didn’t appear the victim and suspect knew each other and the case is likely not gang related. Eaton said the victim was waiting for his father to get food, minding his own business, when the suspect came from an alley and threw a lighted bottle at him. 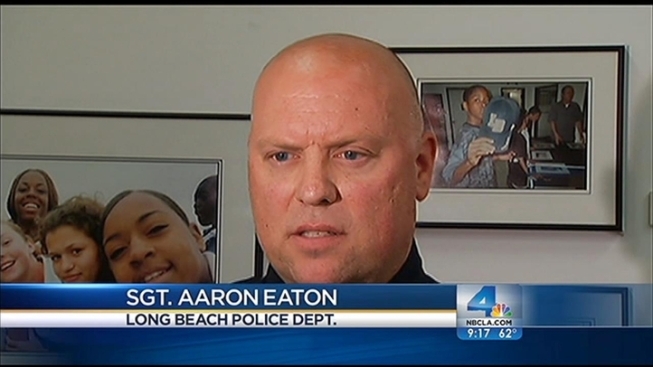 Anyone with more information about the crime was urged to call police at (562) 570-7260.